NB: Being the capital of Marckwild, information not presented below is as the Barony Marckwild Realm page. Location. West coast of Marckwild at the mouth of the Cardinal River. Description. Dragonfall is the capital of the Barony of Marckwild. The old fortress sits upon the actual bluff known as Dragonfall. 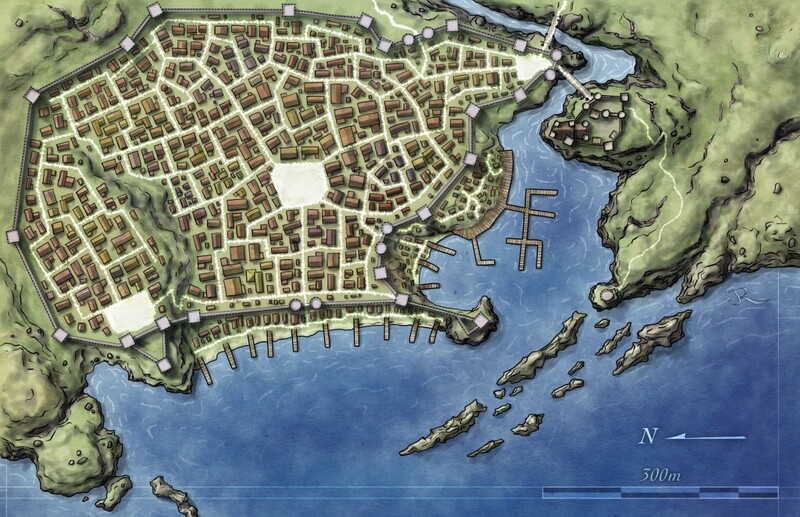 Upon another bluff is the High Quarter where eladrin and human architecture mingle to form a beautiful neighbourhood. Between the two bluffs in the majority of the town surrounded by 30 foot stone walls. Only the two waterfronts lie outside the walls. Whilst rougher and poorer than the rest of the city, as far as dockside city wards go, Dragonfall's is quite civilised. Well-maintained cobblestone streets are common throughout the city. Drainage ditches run down the centre of them carrying refuse to the sea. As a result, many streets smell, though street sweepers keep the refuse moving. Only the High Quarter has actual drains and sewer pipes. At night, lanterns provide light in most neighbourhoods, though magical light is common in High Quarter establishments, the streets are still lit by lanterns. Prosperous. Plenty of money in coffers, wealthy residents, hub for commerce. Strategic Location. Good defensive location, close to other baronies, easy access inland and docks. Location. Mostly live in the High Quarter (on the western raised bluff). Relationship to dominant race. Ghetto with dragonspawn or living with important patron. Location. Ghetto at bottom of cliffs. Relationship to dominant race. Ghetto. Relationship to dominant race. Intermixed/ghetto. Location. Mostly stay southeast across the river in a wood specifically set aside for elves. Location. Solitary compound in northeast. Government - Aristocratic Confederacy. As Dragonfall is the capital city, the ruling council of Marckwild hold sway here. The city does not have a separate ruling body. The member for Marckwild is described there, but there are several well-known agents that base themselves in Dragonfall. 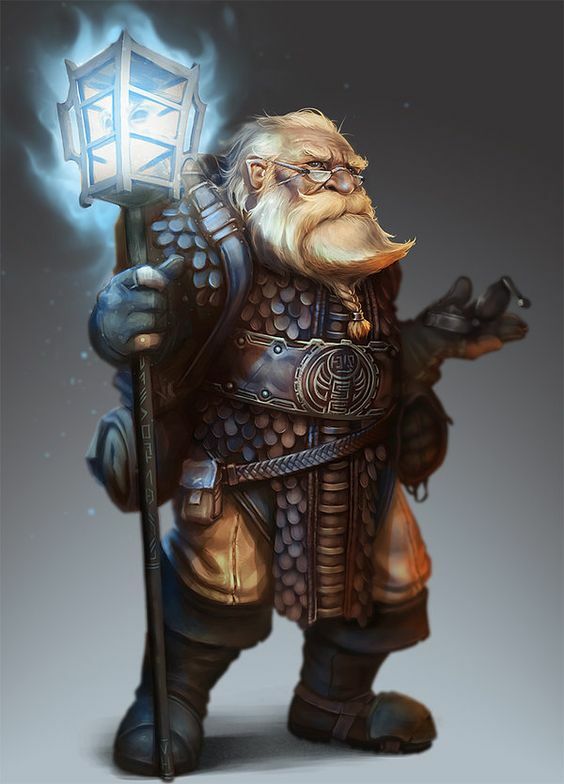 Sildar Hallwinter (m human) is a kindhearted, retired soldier, that likes to work closely with all groups including the Deep Lantern's Guild. Iarno Albrek (m human wizard) is also a familiar face, but spends more time visiting surrounding islands than Sildar. 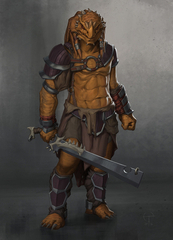 There are a number of Coronal Guards in Dragonfall. 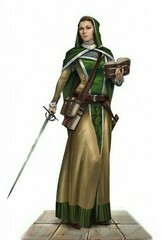 Each eladrin house has several and most also serve on the barony's military. 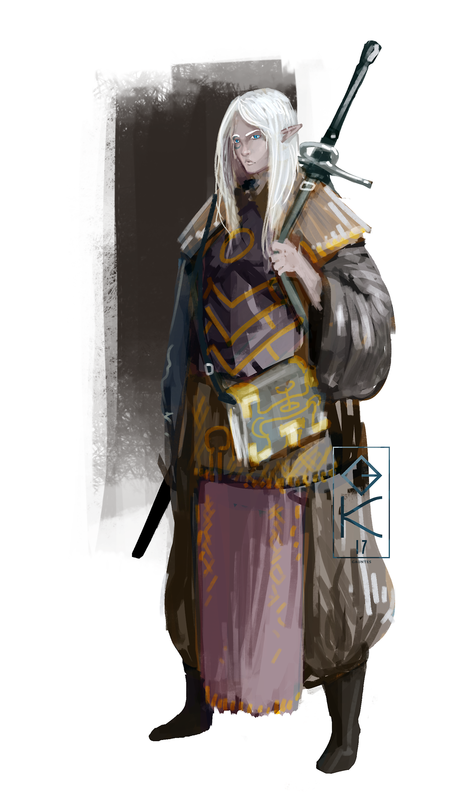 Amendel Lafrahd (m eladrin eldritch knight) is the head guard of House Lafrahd. Athron Lafrahd (m eladrin eldritch knight) is a young Coronal Guard who has proven to be skilled, adaptable and very approachable. He is not haughty in the least and believes the Coronal Guards techniques should be taught to all willing good folk. He was part of the force that dealt with the ambush drakes on the north of the island recently. 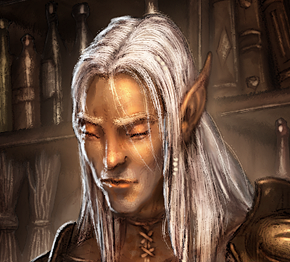 Elwynden Ty'avel (f eladrin eldritch knight) is the head guard of House Ty'avel. 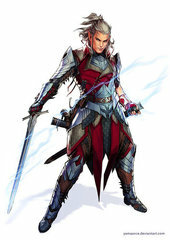 Menden Aergilean (m eladrin eldritch knight) is the head guard of House Aergilean. College of Lore. Bard college situated nicely between other magical academies and universities in the High Quarter. Current Lore Master is Lon’ellemar of House Ty’avel (Crystal Sword). Lon’ is a master historian, especially regarding battles, war and weapons. He is always well-armed. Freilya Stormwind (f half-elf) is probably the most respected member of the college however. 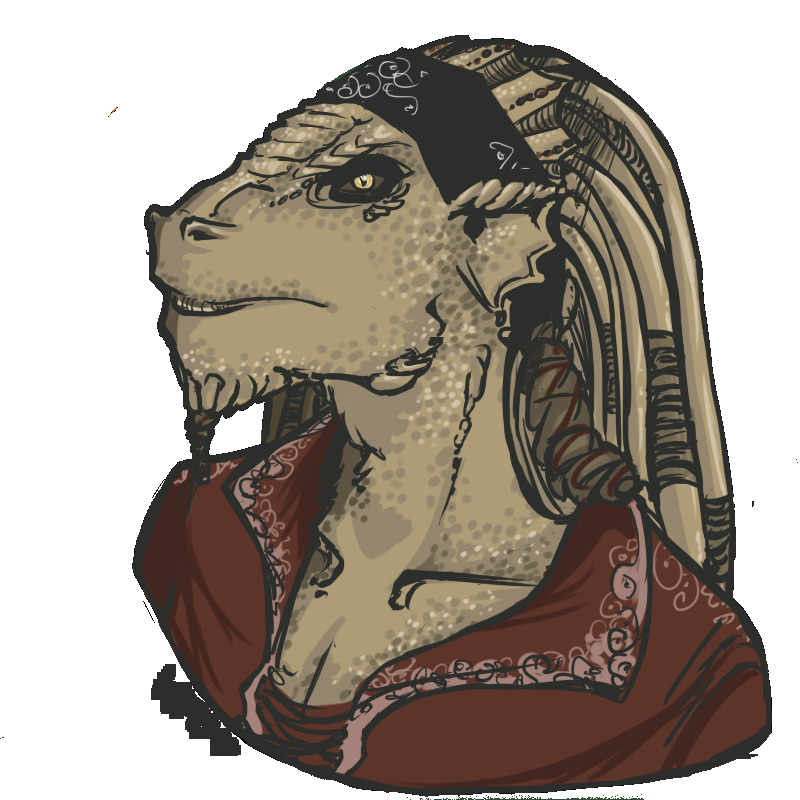 She has settled in Dragonfall, but has traveled widely. She watches over Dragonfall like it was her own personal domain. Not much happens in the city that Freilya does not know about. Secluded Hall of Arcane Studies. A magical academy mostly run by eladrin as a gesture to the population. Deals with basic magical studies. Current "Mistress of Arcana" is Azaria Yelfaren (f eladrin of House Aergilean), a transmuter of some renown. Temple of Bahamut. This modest, but well-built stone building that looks more like a garrison than a temple, lies in the southwestern edge of the 'Dragon Ghetto' at the foot of the cliff. As there is no 'Divine Caste' among the Dragonborn of Dragonfall, there is no permanent or current priest, but many dragonborn still come here to worship and help keep the place tidy. 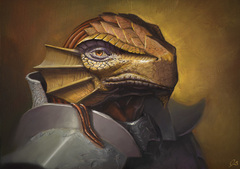 Kava (f, LN commoner) an elderly dragonborn helps co-ordinate things. Citizen Attitude - Content. 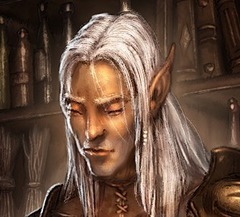 Though some half-elves are currently unhappy about lack of representation on the ruling circle of nobles. Alehouse - The Farmer's Keep. (Average quality). An old treasury building purchased my local farmers as a place to stop when they come to town. Located on a small square where markets are held in the Residential Ward (bordering the central civic ward). Run as an investment by the Aergilean eladrin house. The manager is Nuaran-Then (m eladrin), a retired sailor who was recently freed from captivity aboard a pirate ship thanks to the Brotherhood of Broken Chains. Cookhouse - The Copper Broadsword. (Average quality; wine fine). Located very close to the North Gate and very popular with the town guard. Recently though, members of the Knights of Cendriane have been frequenting the place as one of their friends, Arannis Amberwine (m eladrin, House Ty'avel,) has recently purchased it. Arannis makes very good quality wine and the quality of food is improving too. Inn - Barmaid's Hideout. (Poor quality). A run down shanty near the waterfront, this place is loved by sailors and particularly halflings, whom it caters to well with many low seats and tables. It has a separate building for accommodation. Run by Naivara (f half-elf), famed for her honeyed mead. Like many of her halfling customers, Naivara always goes bare-foot. Tavern - The Drunken Dragon. (Fine quality). Although only a single story, this spacious tavern has a large bar with a stage. There are bards regularly performing here. 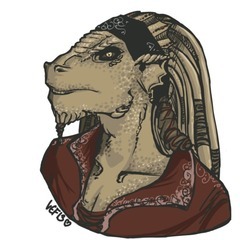 Owned by the Lafrahd eladrin house, but is run by Skelryn Furyflame (f dragonborn) who considers herself quite the philosopher and enjoys when storytellers from the College of Lore perform. Tavern - The Serpent's Tooth. Known to locals as 'The Snake', this dockside establishment could be the city's roughest establishment. Being on the west-side waterfront it attracts all sorts of visitors. 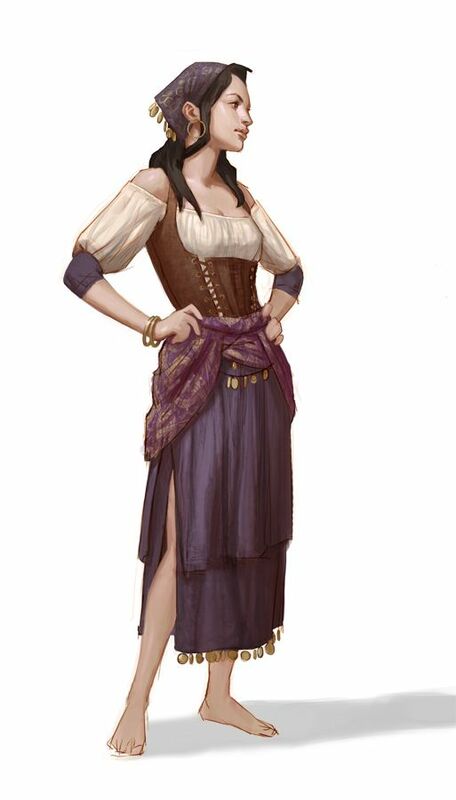 The attractive Andura owns the place and got her money by being the daughter of a wealthy merchant or through piracy, depending upon who you listen to. The orc-blooded Gralnakh Longtooth is the main barman and helps to keep order in the place along with the huge young man affectionately known as Bubba. Lantern Lighter's Guild. This is a large guild housed in the Guild Quarter. They are paid by the city to maintain and light the many street lights throughout the city. Seraphina's Shelter. An orphanage on the River Waterfront run by Seraphina (f human ex-guard). Street Sweepers Guild. Another undervalued guild based in the Guild Quarter. These workers are paid to keep the streets clean - not an easy job with the central gutters, but they often do so with a huge cart-drawn keg of water to help wash any blockages along. Subsistence Trade. (Main port for Marckwild's resources to be traded). Deeplanterns' Guildhall. In a converted inn in the Fine Shops District. Current Guildmaster is Stasi Hoenrork (f human priest of Vandria Gilmadrith – elven goddess of war & justice, 3E D&D Races of Wild p23). 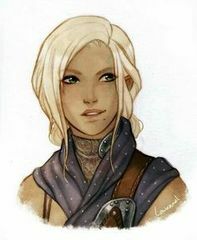 The place is fairly quiet, as there are only about half a dozen full-fledged members in the city, though several others do part time work with the guild. Meskan (dragonborn ex-gladiator) takes care of security around the place. Although unreliable, the orphaned halfling Todd Lazzam 'helps' keep the place tidy and performs other day-to-day operations around the guildhouse. Being a bit of a transient, Todd often sleeps at the guildhouse too. Gundren Rockseeker is one of three dwarven brothers who are currently seeking their riches on the nearby Singing Skull Island. Whilst his brothers stay 'on the ground', Gundren has spent considerable time in the city and at the guildhouse organising supplies for a big expedition. Merchant Warehouse - Durno Preis. This well-off merchant owns several warehouses and trades exclusively with Arkhosia. 1369 DY Lugh mysteriously arrives at the College of Lore. This half-elf strolled in during a violent storm wearing a peasant’s smock and carrying a velvet bag with a paper rose within. He stayed on at the college to become a bard/story-teller. 1368 DY House Lafrahd gains seat on the Council. Almost two years after arriving in the Forest of the Nine Winds, Lafrahd offers the realm men and magic (including funding for the new Secluded Hall for Arcane Studies) for a seat on the council. 1366 DY Deep Lanterns Guild established in city. Travelling members of the guild came to Dragonfall to establish the guild. They purchased a large inn and converted it into a guildhall within a week. 1356 DY Todd washed up on shore. The halfling Todd survived the wreck of his clans ships and washed up on the shore before walking to Dragonfall.